Next level of graphics and video are getting closer to our pockets. Imagination Technologies' Series 6 PowerVR GPUs have been announced to deliver anything from twenty to a hundred times as much kick as their predecessor – the “humble” Series 5 GPUs. The first SoC to include the Series 6 PowerVR GPUs is going to be the Nova 9600, announced by ST-Ericsson. It is said to be capable of delivering HD video at the amazing 120 frames per second, as well as powerful enough to capture and reproduce high-quality 3D video renderings. Powering devices such as the Apple iPhone 4, the Nokia N900, and Sony's upcoming next generation portable entertainment system, the Series 5 GPUs are considered one of the best you can get in a mobile device nowadays. Such leap of performance, claimed by the expected beast of a GPU, would rival even today's premium, desktop-grade graphic cards, while being easy on the battery at the same time. 120 fps HD video on smartphones?!?! Wow! Even DSLRs can't do that! I agree that this announcement is exciting. Put this chip with Nvidia's quadcore in a nice 4-4.3" phone that does the same thing the Moto Atrix and I will get rid of my silly battery hog laptop. One device to rule them all, finally. Well we all know what's going to be inside the Iphone 5 I wonder how this compares to Kal-El (Tegra 3). 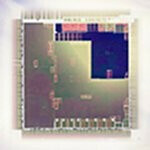 Yup, expect to see this chipset in the iPhone 5. This isn't coming to iphone 5 hate to break it to you guys. No, it's not coming this year. It won't even come till mid of 2012 to any phone. Remember, PowerVR SGX540 was announced in 2008, 1st phone in 2010.